A four storey building built during the early 1960s that replaced a two storey public house. Ratners jewellers occupied no.12-14 from 1979 until the 1990s. 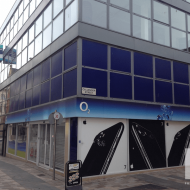 Henderson UK Property Fund received permission in August 2004 (Z/2004/1350/F) to upgrade the building facade and carried out the works c2004-2005. 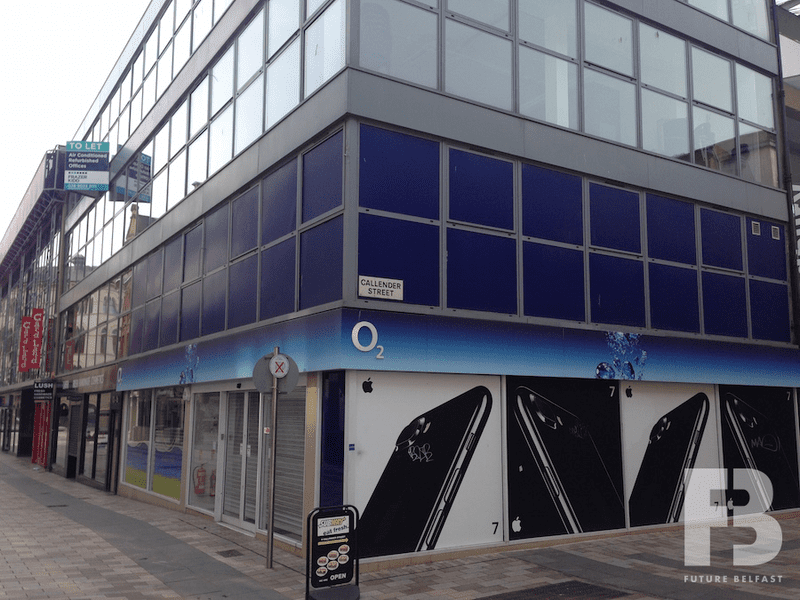 O2 opened at no.16 (previously Birthdays) during autumn 2005 and Lush opened at no.12-14 during summer 2007. Henderson UK Property Fund sold the building to CBRE Global Investors for £3m in December 2011. 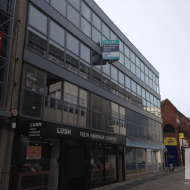 Alterity Investments and Milligan Reside Larkin Architects submitted a planning application (LA04/2017/1783/F) in August 2017 proposing to change the use of the unit at 12-14 Castle Lane from retail to restaurant/cafe use. 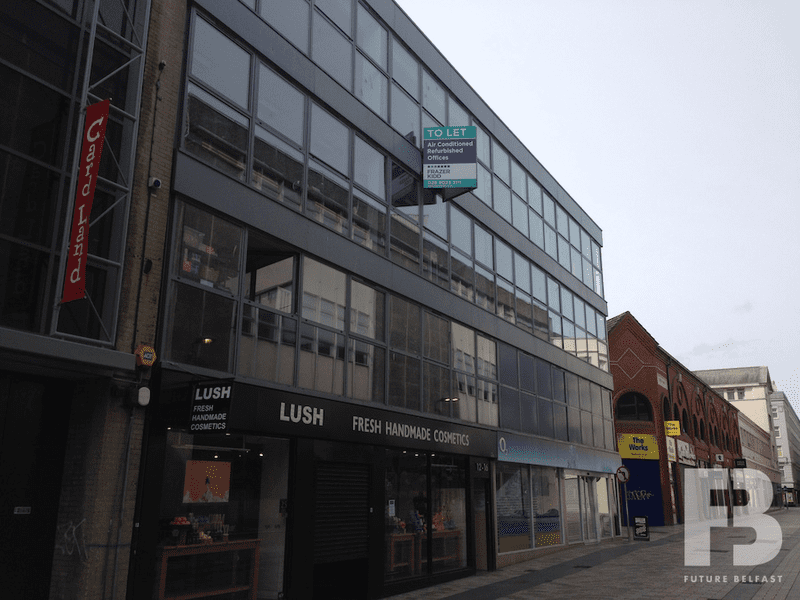 Lush relocated to larger premises on Castle Lane during 2018. A Rangers Store will open in the former Lush unit during 2019.